Limited run short sleeve Neo-Vintage collared tee made of extra soft fine cotton. 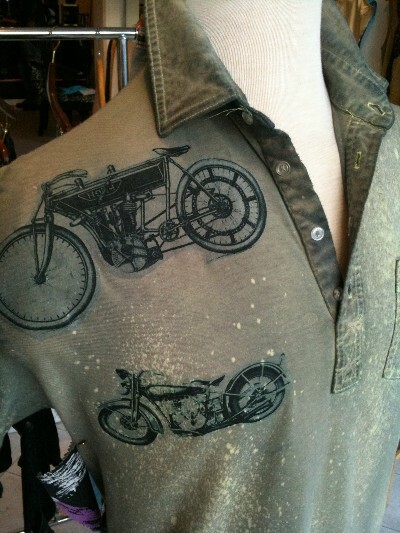 Complete with vintage motorcycles and an acid wash finish. This tee will become super vintage and deconstruct beautifully with many many washes.